All my life I’ve heard people talking about the three needs for survival. Of course, those weren’t the three needs established by any survival expert, but what society in general thinks of as our needs for survival. I guess we could call it the “civilized version” of survival priorities. You’ve probably heard it too; with someone spouting off about how you need “food, shelter and clothing” to survive. I guess to someone who doesn’t really understand survival, that list sounds pretty good. But let me ask you a question, how long do you think you could survive if all you had were those three items? If your answer is any shorter than a year, there’s obviously something missing from that list; and in reality, there are some very important things missing from that list. If someone tried to survive on just those items, they’d be dead in just a few days. Survival is complicated, and in reality, our bodies need a lot to sustain them. Even minor changes in some of those needs can have disastrous effects. The world on which we live supports life because it is the ideal size, located at the ideal distance from the sun, with the ideal atmosphere, foliage and chemicals to support life. If any of the major factors that sustain life were to change by even a few percentage points, life as we know it would cease to exist. If that little bit of poetry about food, clothing and shelter isn’t true, we need to develop a better list about what we really do need in order to survive. Knowing what we need is a very basic part of survival; because if we don’t know what we need, we can’t prioritize to make sure that we have it. Our bodies use oxygen in a wide variety of chemical reactions. More than anything, it is used by the brain. Without oxygen, we can’t survive. Our lungs separate oxygen out of the air that we breathe, which is then carried throughout our bodies by our cardiovascular system. The reason that blood is red is because there is an iron molecule in the cells, which combined with the oxygen to hold and carry it through the body to where it is needed. When iron and oxygen combine, it turns red, as we see all the time in rust. If it gets much hotter than that, it’s called hyperthermia and if it gets much cooler than that, it’s called hypothermia. The farther the body’s temperature strays from that ideal temperature, the harder a time it has in operating correctly. It doesn’t have to stray very far for us to lose our ability to think and care for ourselves. Clothing and shelter are both considered survival priorities because they help us to maintain homeostasis. Clothing does this by providing insulation between our bodies and the ambient air. That holds in the body’s heat, preventing it from escaping. Shelter helps by providing an atmosphere that is protected from the weather. Wind and rain cannot affect the body, stealing heat from it. Shelters can also be heated, lessening the amount of energy which the body needs to use in order to stay warm. Our bodies largely consist of water. Each individual cell is mostly water. While the actual percentage varies, depending upon the type of cell, the majority of the space between the cell wall and the nucleus is nothing more than water. The various parts of the cell float around in that water, tethered in place by strings of protein. On top of the water in our cells, our bodies use water for a variety of different purposes. Three of the most important are processing food, eliminating chemical waste and cooling the body. 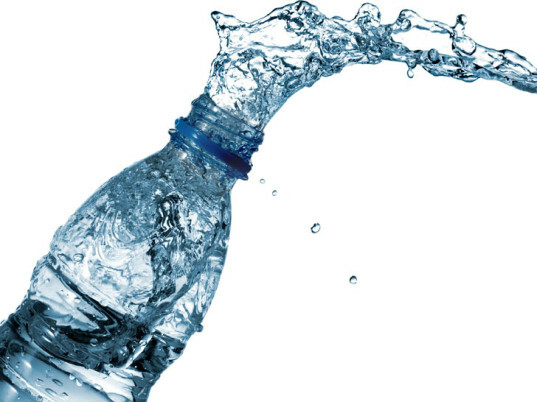 Water in the digestive system helps to aid the breakdown of food into the components that our bodies need. This starts in the mouth, with saliva (which is mostly water) breaking down carbohydrates into sugars. It carries on through the entire system. Water is used in the production of urine. This is the body’s main way of eliminating excess chemicals from the body, not through the digestive tract. The blood is filtered by our kidneys, which filter out excess minerals. Those minerals are then mixed with water to form urine. Water cools our bodies through the mechanism of sweating. While sweat contains some minerals, it is mostly water. The sweat passes through the skin and sits on the outside of the skin. From there, it evaporates. In order to do that, it needs to absorb a large amount of heat from the body. When we talk about water for survival, we are talking about purified water. The biggest water-related danger to our bodies from water isn’t the visible things floating in it or anything that causes cloudiness, but rather, microscopic pathogens. Water can appear to be clean, but teeming with microscopic life that can cause us serious sickness or even death. That’s why all water must be purified in a survival situation. Food provides our bodies with the energy we need to have in order to function. It also provides the building blocks that our bodies use in making new cells. Without an adequate food supply, we eventually run out of energy and our bodies actually start to cannibalize themselves. Proper survival nutrition is slightly different than everyday nutrition. When you listen to most nutritionists talk, they focus on micronutrients; vitamins, omega 3s and other such details. However, in a short-term survival situation, the focus is on macronutrients; carbohydrates, fats and proteins. The body can get by for a while without the micronutrients, using those that it already has. So, a short-term survival diet focuses on providing the macronutrients needed to provide energy and protein. However, if the survival situation turns into a long-term one, then the micronutrients need to be added back in. Failure to do so will result in some sort of sickness, as the body will not have everything it needs to have in order to function properly. This can be avoided by eating vegetables or taking vitamins. Most food needs to be cooked, in order to be edible. There are several reasons why we cook our food. One is that it chemically changes the food, making it easier to digest. Cooking also changes the texture of our food, making it easier to cook and digest. But probably the most important thing that coking does is to kill the microscopic pathogens (bacteria, protozoa and viruses) in our food. Now that we have seen the most important survival priorities, let’s look at how they relate to each other in the sense of time. By time, I’m referring to how long the human body can go without those needs being met, and still survive. This gives us the priority for meeting those needs. We use the Rule of 3s to describe and remember the relationship of these survival needs to each other. The rule basically says, “You can survive only three seconds without oxygen, three minutes without maintaining your body temperature (some people say shelter), three days without water and thirty days without food.” Let’s break that down and examine each of the 3s. 3 minutes without oxygen – The brain stores a small amount of oxygen, plus there is always oxygen in the bloodstream. However, once that oxygen sis used, brain cells start dying in as little as three seconds. The entire brain will die in a matter of minutes, without an adequate supply of oxygen. Once the brain dies, it doesn’t matter what happens to the rest of the body. 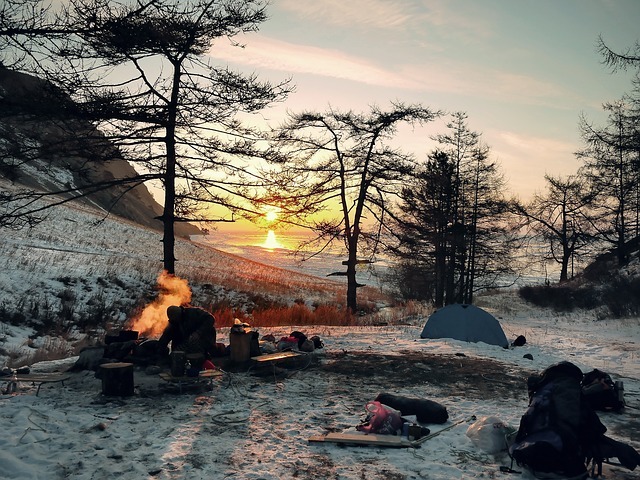 3 hours without shelter – Hypothermia is one of the biggest killers in the wild. Most people think of this as being something that happens only in the winter, but it is possible to fall prey to hypothermia in the summertime as well. All it takes is falling in a cold mountain stream just before sundown. Someone who does that will probably be so heavily into hypothermia by the time they get to the parking lot, that they’ll walk right past their car and back into the wilderness, where they will die. In the North Atlantic in wintertime, the water is so cold that a person falling into it, without the benefit of a wet suit, will lose enough of their body heat to die in a mere three minutes. If you’ve seen the movie of the Titanic, there was a scene towards the end where people were freezing to death in the water. While dramatized, that was true. 3 days without water – In a temperate climate, the human body only has three days worth of water reserves. Some of that water must leave the body in the form of urine, in order to remove chemicals and minerals that could be toxic if left in the body. So, the body will deprive itself of water in order to expel those toxins. It can only do that so long, before cells start dying. In a hot, dry climate, such as found in the southwest, an adult can sweat out a gallon of water per day in the summertime. In that sort of circumstance, three days without water is very optimistic. It is possible to die from lack of water much quicker than that. 30 days without food – This one varies a bit, as some of us have more body fat than others. That body fat will sustain your body for a longer period of time, but not without problems. Fat can only provide energy to burn; it can’t provide any of the other nutrients. So, while your body can stay alive, it will not stay in good health. About the longest you can expect your body to function correctly without a proper diet, is 30 days. In a survival situation, you may find that your body has to go long periods of times between eating. Should that happen, your body would turn on itself to get the nutrients it needs. It will start breaking down muscle cells, in order to extract the protein necessary to build new cells. So it is important that you store vital survival foods in your preps. While those are the most basic survival needs, I’d like to make one addition to the list. While we can survive without it, it is much easier to survive with it. I am, of course, referring to fire. Fire is not essential for survival, but it does make things A LOT easier! Fire is not actually necessary for survival. Everything we do with fire, can be done in other, more complicated ways. But in a survival situation we are looking for the easiest way to do them, not the most complicated. In many cases, the easiest way is with fire. 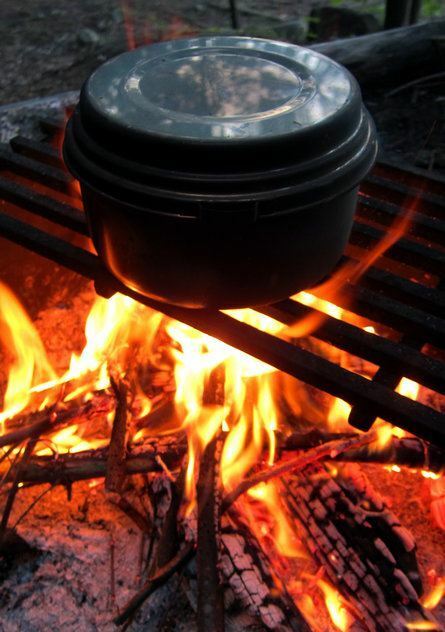 Fire can be used in some way to accomplish three out of four of our basic survival needs. The only one of them it is not used for is for oxygen. In actuality, fire takes oxygen out of the air, the same oxygen that we need to breathe in order to survive. To heat our shelter, making it so that our bodies don’t have to burn as much energy to keep warm. To purify water. Boiling water will purify it, but so will heating it to 160oF in a process known as pasteurization. To cook food, killing pathogens in our food. To provide light in the darkness. Considering all the survival uses of fire, it’s no wonder that most survival instructors spend a lot of time teaching fire-making techniques. The ability to start a fire may not be a direct necessity, but it helps us to meet those other essential necessities; that makes it a very important survival need. Well said article. Would like to hear more from this man. His thoughts on the best “place” to survive in the USA when everything we know shuts down. – Living without electricity.